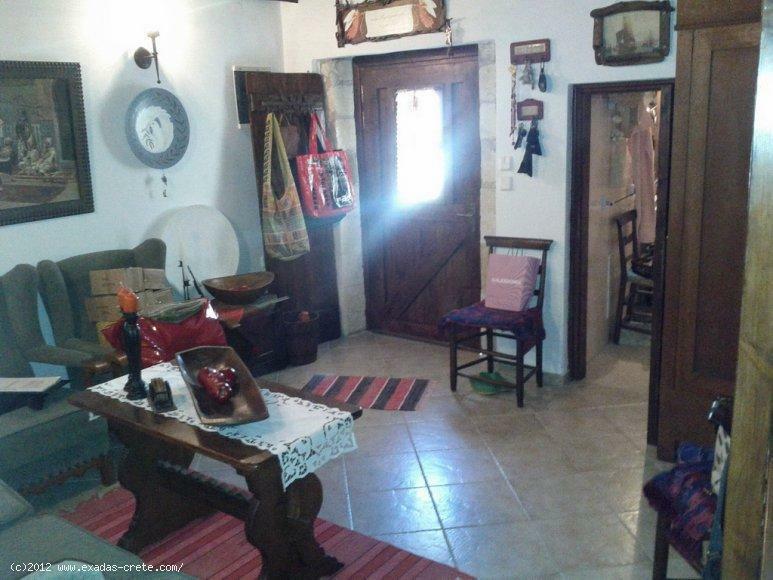 Traditionally renovated house of 125 sq.m just outside of the city, in Adele village. 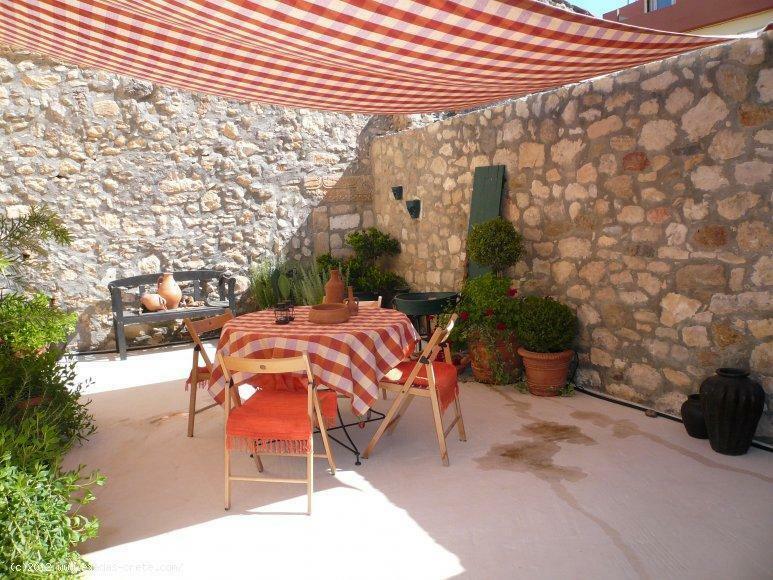 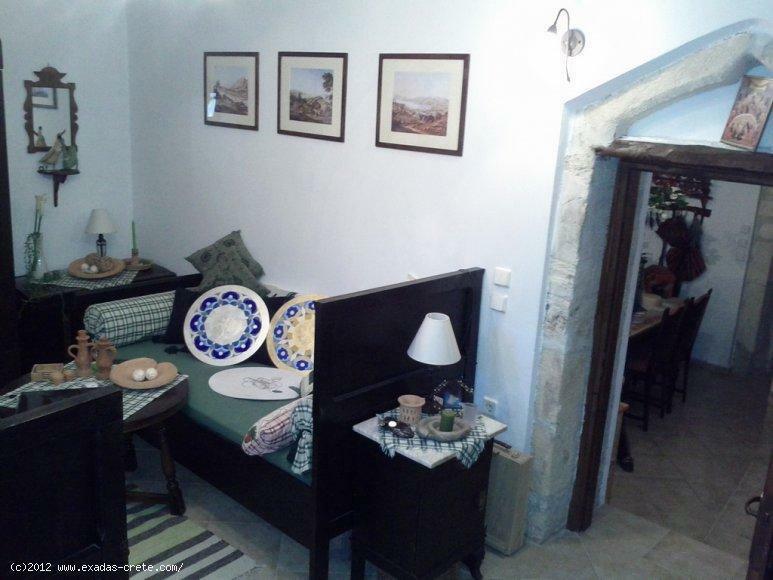 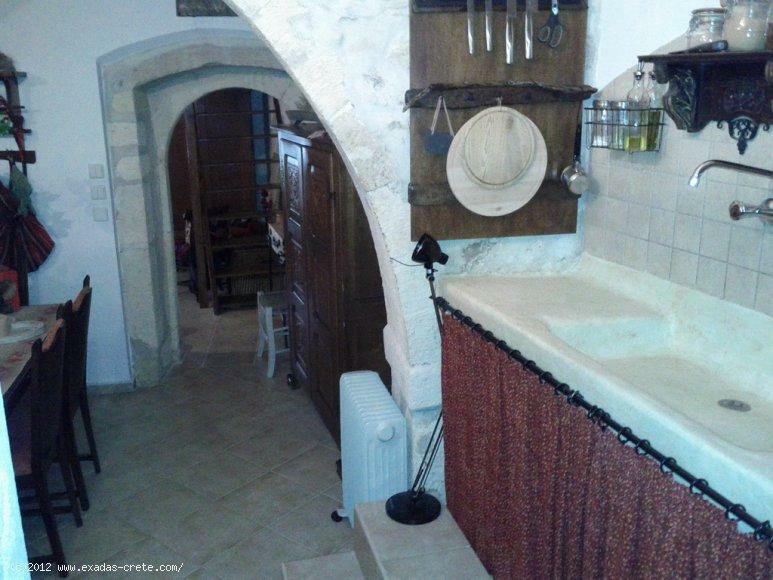 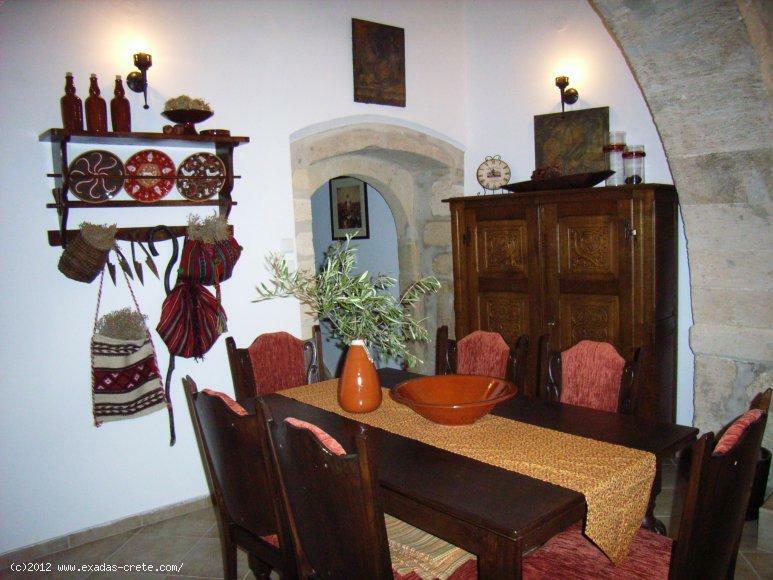 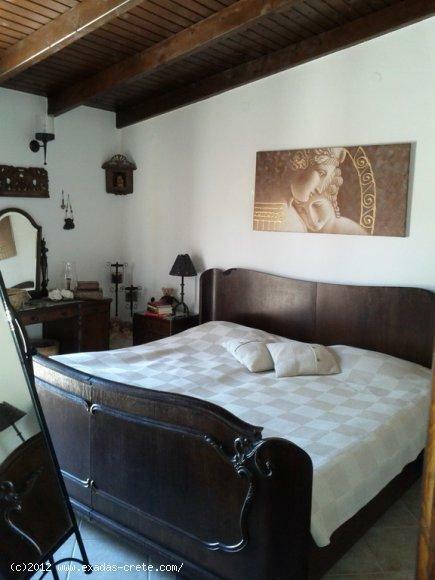 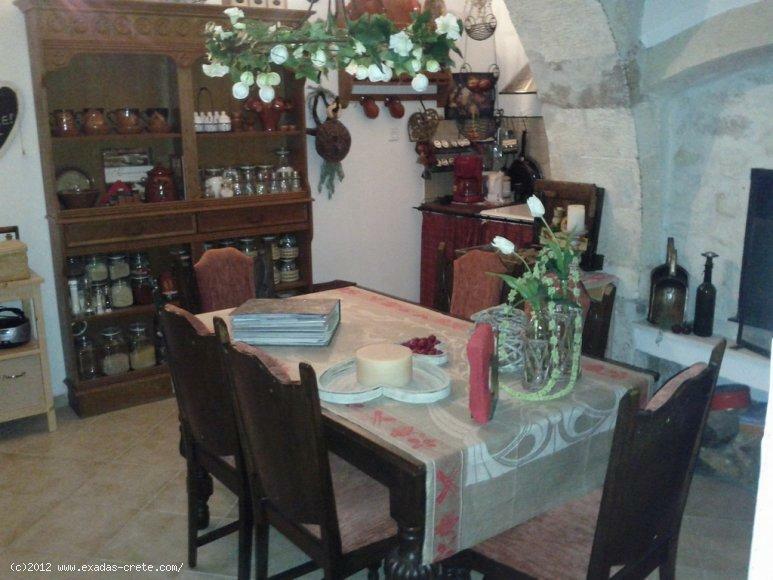 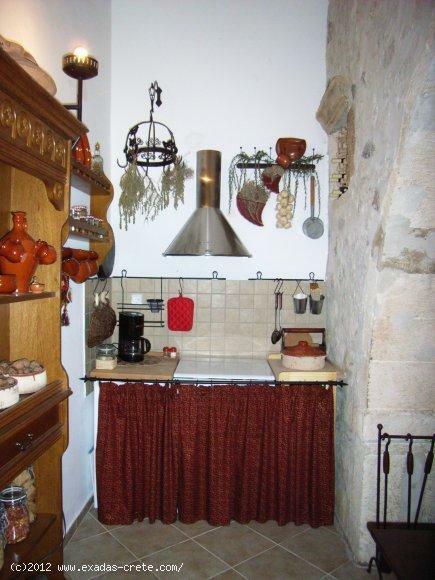 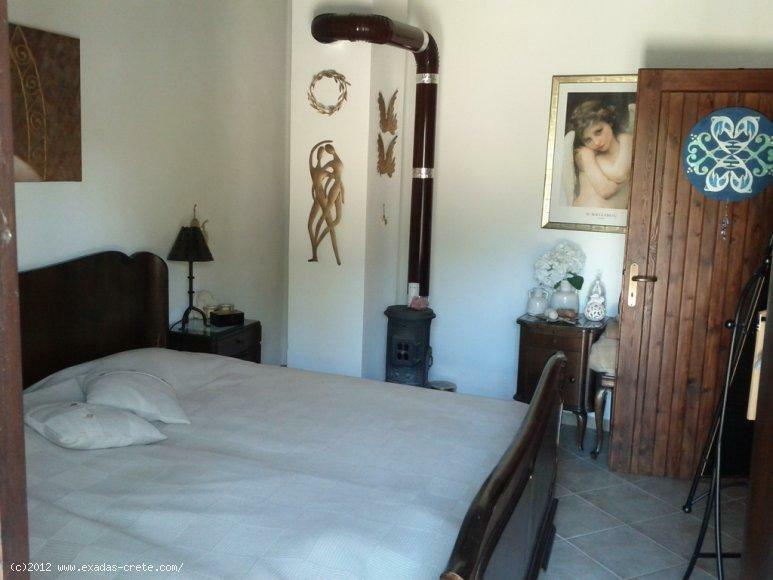 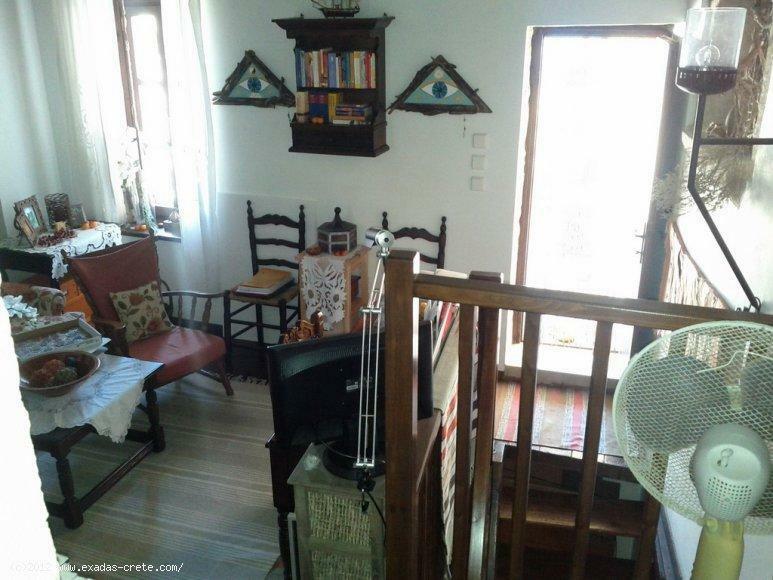 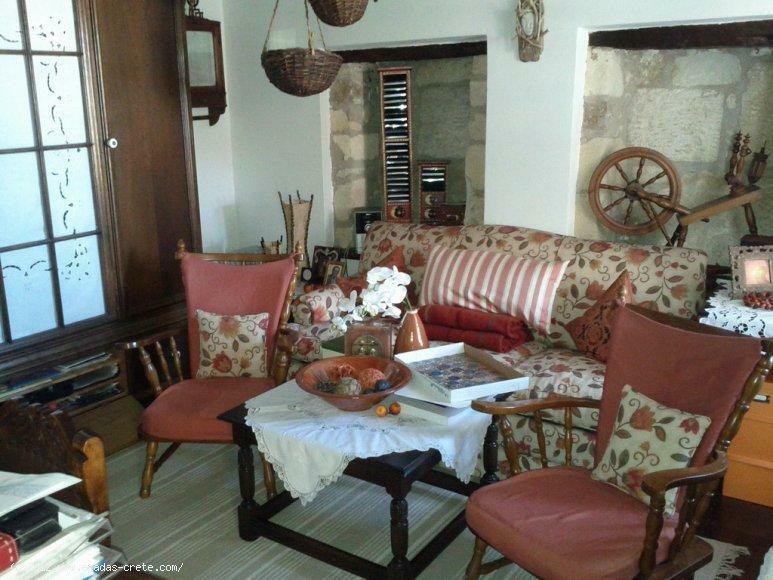 Κωδικός: 472 Traditionally renovated house of 125 sq.m just outside of the city, in Adele village. 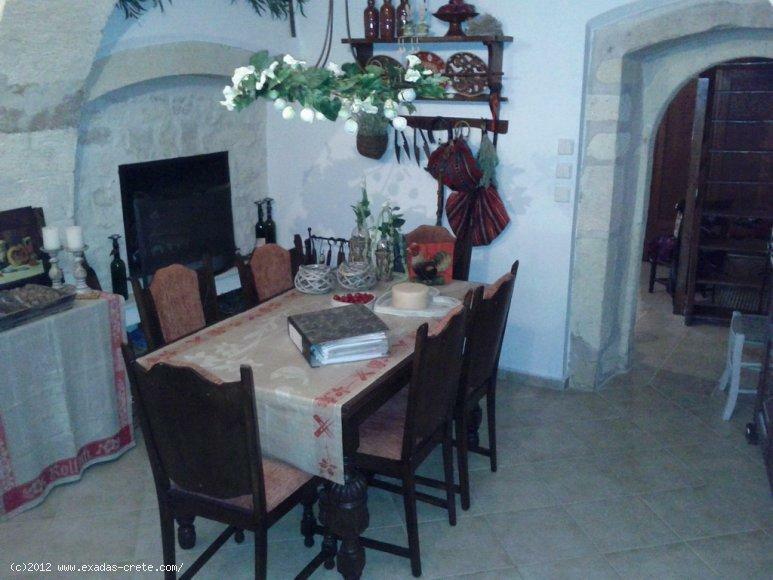 The house's renovation kept all the traditional features such as the beautiful arcs, fireplace, kitchen, courtyard, old furniture, the windows and doors, etc. 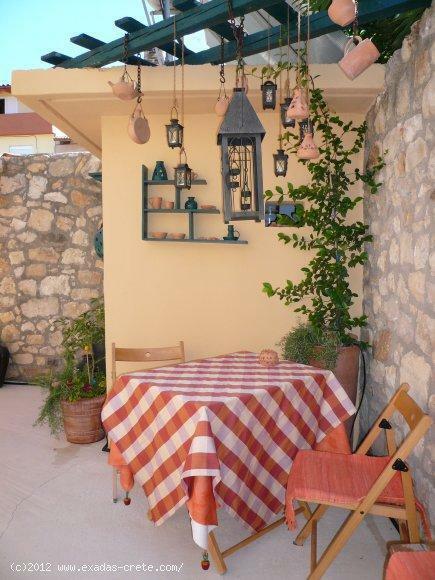 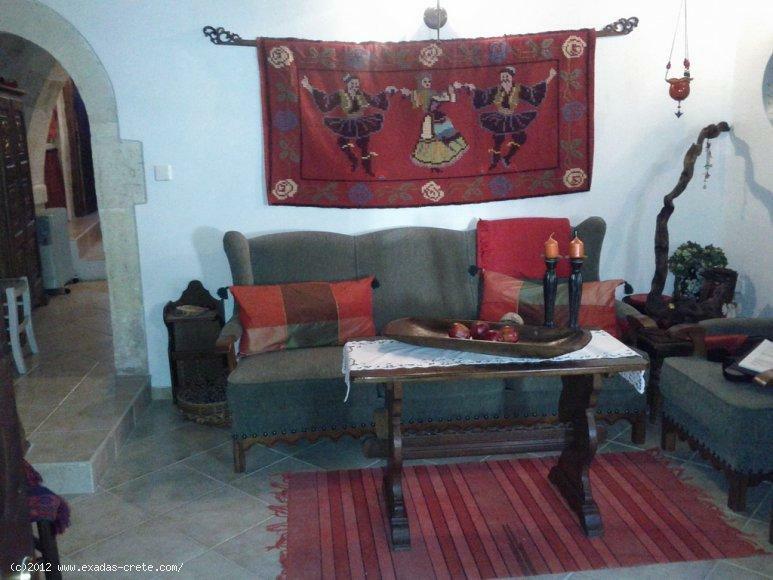 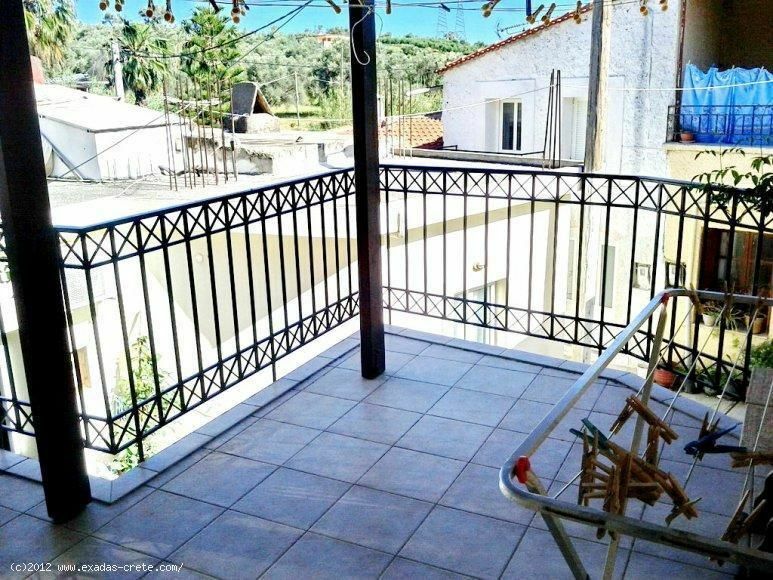 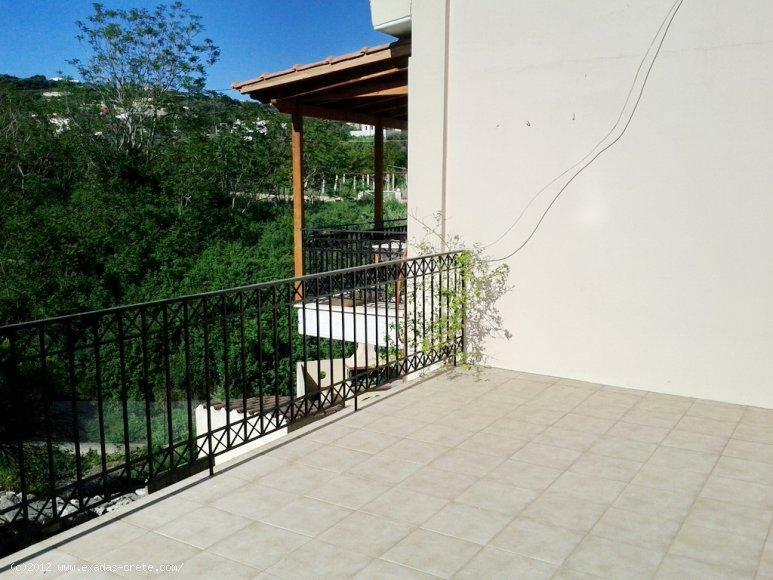 The house measures 125 sq.m in total and is well located in the old part of the beatifull village of Adele which is situated only 10 min from Rethymnon and 5 min from the beach by car. 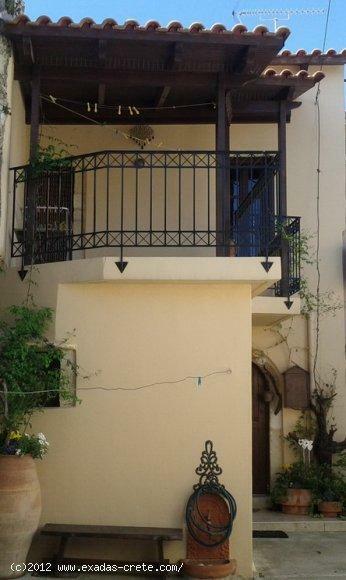 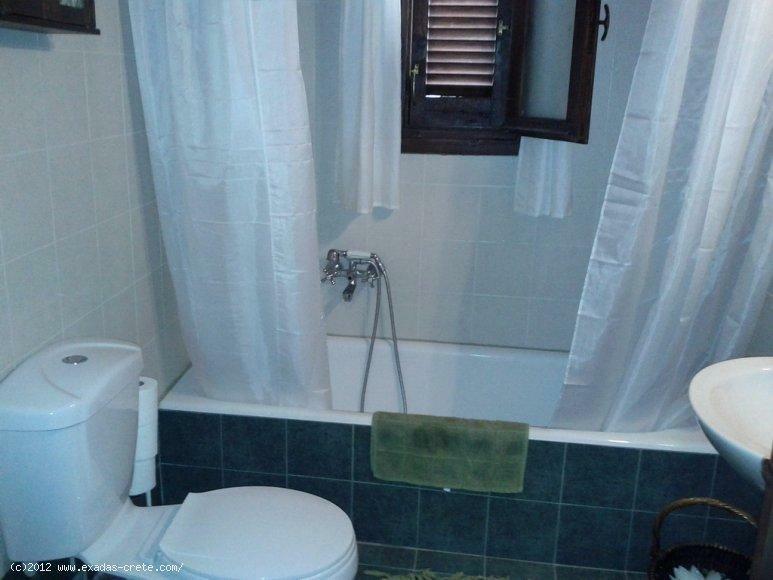 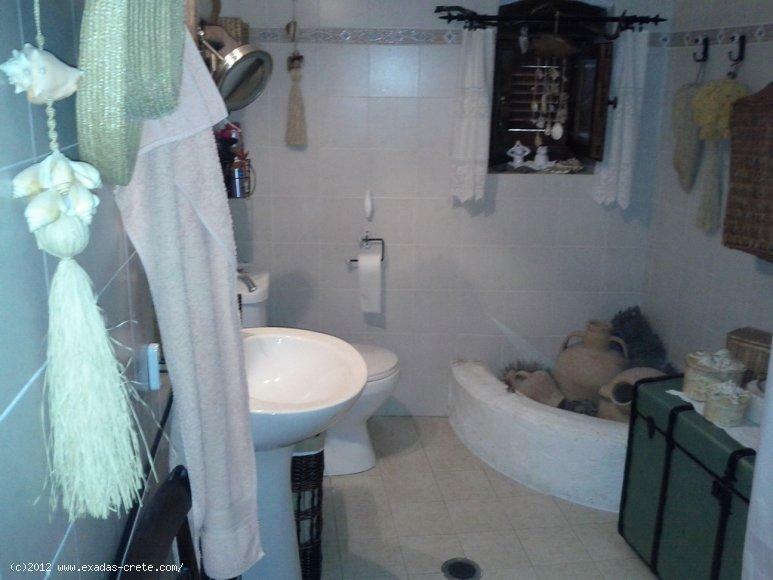 This nice property consists of a living room - kitchen, a bathroom, a bedroom on the ground floor, and 2 additional bedrooms and a bathroom on the first floor. 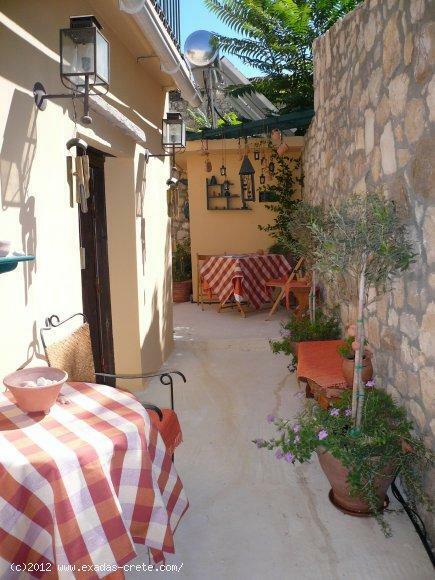 Outside there are plenty of spaces on the ground and first floor as you will find a big balcony as well as a pergola-covered loggia on the upper level, and in the background of the house there is a lovely big courtyard surrounded with stone walls plus a small individual storeroom with water and electricity.